Barnes & Noble CEO resigns: New leadership will totally save doomed company. 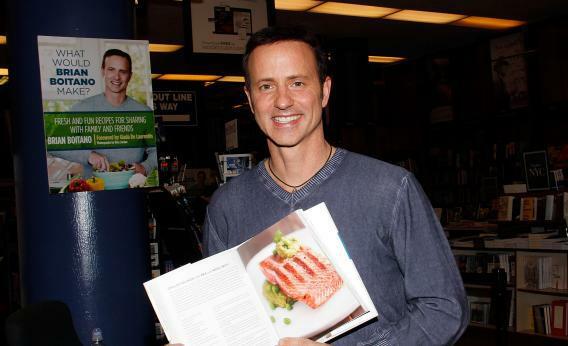 NEW YORK, NY - MAY 09: Even in-person appearances where Brian Boitano toutes his cookbook won’t save Barnes & Noble. The Board of Directors of Barnes & Noble announced today that the struggling chain’s CEO, William Lynch, will resign and be replaced by CFO Michael P. Huseby. And if you’re wondering about that headline, well it’s a Slatepitch too far. Obviously Michael Huseby isn’t going to save Barnes & Noble. Because Barnes & Noble is a very successful chain of bookstores, except the number of people who want to buy physical books is plummeting. A digital bookstore can stock a much larger inventory with almost no warehousing costs, and can deliver the book of your choice to you within seconds. What’s more, a Kindle Paperwhite or a iPad Mini is lighter than a book and yet can contain many books, greatly facilitating travel. Even better, you can highlight passages of your digital books and annotate them and then have all your annotations available to you on all your digital devices. The only real value of physical books at this point is a kind of nostalgia-soaked experience, and people want to experience that at a friendly independently owned bookstore not an impersonal chain. To be clear, this is not to blame Barnes & Noble for getting anything wrong. In fact, under Lynch they pulled off something nearly impossible. A brick-and-mortar retail chain reinvented itself on the fly as a manufacturer of hardware computing devices and, in the Nook, created a device that everyone agrees is pretty good. But “pretty good” isn’t good enough to be commercially viable in a world of big platform players like Amazon, Apple, and Samsung. Now it looks like the Nook business is curdling, and so Lynch is going down with the ship. But really he and his team have done a great job in a nearly impossible situation, and it all just goes to show what a capricious beast capitalism can be. One day you’re the soulless corporate bohemoth crushing independent bookstores beneath your mighty boot and doing a damn fine job of it, and the next thing you know the prevailing technological winds shift and you’re roadkill.